SECOORA is dedicated to training the next generation of ocean experts. Learn about our efforts here. In collaboration with YSI Xylem and University of South Florida Coastal Ocean Monitoring and Prediction System (USF COMPS), we have taught over 200 undergraduate students about the importance of real-time sensors in the field. Each semester, USF undergraduate science students are given tours of two technologies: a YSI Xylem sonde system and a metrological station. Led by a USF College of Marine Science professor and YSI Xylem representative, students learn how to collect water quality data, use a sonde, explore data trends on the SECOORA data portal and answer questions such as “what is biofouling?” and “why is in-situ monitoring important?”. The YSI Xylem EXO2 Multi-Parameter Water Quality Monitoring sonde system and a metrological station is located in a thriving estuary near Gulfport, Florida. The sonde is maintained by YSI Xylem and the data is managed by USF COMPS and SECOORA. The sonde measures salinity, dissolved oxygen, pH, water temperature, turbidity, chlorophyll a, blue green algae, and fluorescent dissolved organic matter. This water quality data augments the metrological station’s wind, air temperature, relative humidity, precipitation, and barometric pressure measurements. Vembu Subramanian lived a life dedicated to uplifting others. While hired at SECOORA for his technical skill, Vembu’s true strength was his interpersonal skill, as reflected by his unofficial job title – Social Chairman. In remembrance of our dear friend and colleague, and his collaborative spirit, SECOORA is establishing a scholarship award for the next generation of ocean experts. Please help us reach our $50,000 goal. It will enable SECOORA to establish an annual scholarship of approximately $2,500 in perpetuity in Vembu’s honor. Donate today! Pedro Matos-Llavona from the University of Puerto Rico at Mayagüez speaks about his experience as an intern. SECOORA has teamed with the University of South Florida College of Marine Science (USF CMS) and U.S. 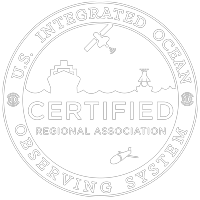 Integrated Ocean Observing System (U.S. IOOS) to host interns as part of the NOAA Educational Partnership Program and NOAA Ernest F. Hollings Undergraduate Scholarship. Interns practice being an oceanographer, learning intricate details of coastal ocean observing systems. Under the mentorship of USF CMS Coastal Ocean Monitoring and Prediction System lab in St. Petersburg, Florida, the interns spend the summer gaining hands-on experience and knowledge in the field.